The Sean Anderson Foundation has donated $10,000 to benefit Wayne State University’s HIGH (Helping Individuals Go Higher) Program. This is the third gift from the Sean Anderson Foundation in support of the HIGH Program. In 2016, the foundation created a $25,000 endowment for the program, exemplifying recording artist Big Sean’s commitment to improving the quality of life of young people. The foundation also donated $15,000 to the HIGH Program in 2017. A native Detroiter, Big Sean established the Sean Anderson Foundation to provide better opportunities for those in need. Wayne State University first lady Jacqueline Wilson founded the HIGH Program in 2013 when she was made aware of a medical student who was living in their car. Reports indicate student homelessness is a nationwide issue, and the HIGH Program offers a strategic response to this issue at Wayne State. Students in the HIGH Program receive short-term assistance with the goal of returning students to long-term stability and helping them complete their degree. More information about Wayne State’s HIGH Program can be found at highprogram.wayne.edu. 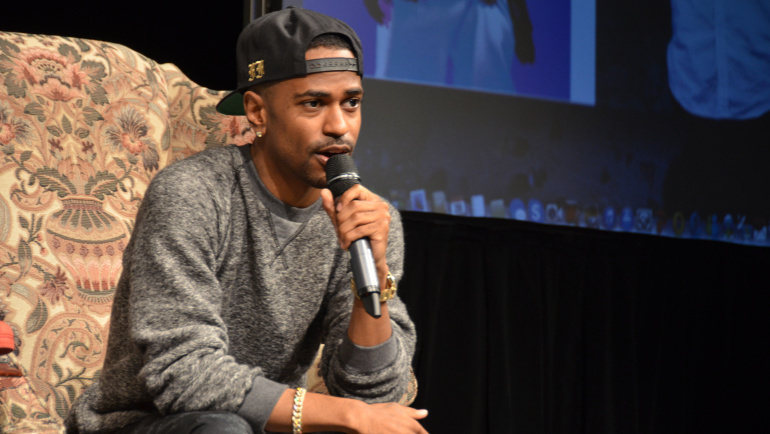 The Sean Anderson Foundation was founded in 2012 by recording artist Big Sean. Sean’s vision is to improve the quality of life for young people and their families. The foundation accomplishes this by partnering with other established organizations, by providing avenues for supplemental educational, cultural, health and recreational programs, and through its signature educational program, Mogul Prep. The HIGH Program was founded in 2013 to address student homelessness at Wayne State University. The vision of the HIGH Program is a university community where no student must choose between higher education and survival. The mission of the program is to ensure that no student abandons their dream of earning a degree at Wayne State University solely because of housing or financial challenges.